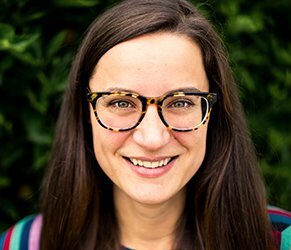 Jennifer Duenke was elected to the Phantom Regiment Board of Directors in January 2019. 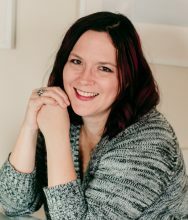 She is owner/photographer at Jenny Dinky Photography and also freelances as a consultant for business and nonprofit startups in the areas of strategic planning and grant writing. She is a member of the Phantom Regiment board’s development committee.Jennifer was a member of the Phantom Regiment color guard in 1993-95. Additionally, she marched with the Freelancers from Sacramento, Calif., in 1992 and Ascension, a world-class winter guard from Houston in 1996. She was a volunteer choreographer for the 60th Anniversary Alumni Corps.She has a bachelor’s degree in photography, a master’s degrees in international relations (civic development and women’s security emphasis) and nonprofit leadership (strategic planning and program implementation emphasis). She comes from a drum corps family as two older brothers marched, and her father drove a bus for both Phantom Regiment and Cavaliers. Past volunteer work has included documentary and medical photography for the Peruvian American Medical Society in rural Peru and serving on the grant writing committee for her local school district. Jennifer is originally from California but has called St. Louis, Mo., home for most of her life. She is married with a young son and daughter. 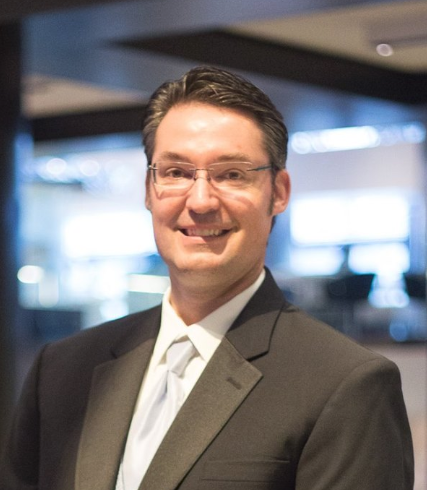 Aaron ‘Oz’ Ozminski was elected to the Phantom Regiment Board of Directors in July 2018. He is an owner/managing director of Elite TechSources in Salt Lake City, an IT resources provider. Before starting Elite TechSources, Aaron was the branch lead for COMSYS (which became Experis IT) in Salt Lake City, which he ran for 5 years. Before moving into the technology services and recruiting field, he worked as the technology leader and UI/UX designer for a custom home automation and home theater company. He has been a member of the Phantom Regiment board’s development committee since 2014. Aaron was a member of the Phantom Regiment baritone section in 1989-91 and a conductor in 1992-93. He continues to play trombone regularly with several diverse groups – brass quintet, community orchestra, funk band, pirate band, etc. – in the Salt Lake City area. He started college as a trombone performance major before graduating from University of Utah with a bachelor of science degree in organizational communications (advertising emphasis). He lives just outside Salt Lake City with his wife, Kristy. They were married in 1997 and have two children. 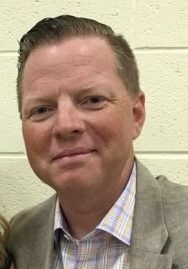 Ed Collins was elected to the Phantom Regiment Board of Directors in January 2019. He is a senior vice president/financial advisor at JPMorgan, where he has worked since 2002. Ed serves on the board of directors and is chair of the investment committee for La Plaza, a central Indiana nonprofit that prepares Latino students for educational success and connects families to health and social services. He is a member of the Phantom Regiment board’s development committee. Ed was a member of the Phantom Regiment euphonium section in 1991-92 and was drum major for Quad City Knights in 1990. 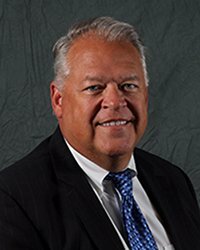 Originally from Chicago, Ed has a bachelor of science degree from Western Illinois University.He recently retired from softball coaching at Guerin Catholic High School in Noblesville, Ind., and with several travel softball teams. He splits his time between Indianapolis, Ind., and Celebration, Fla., with wife Nicole. They have three college-age children: Patrick, Megan and Caitlin. 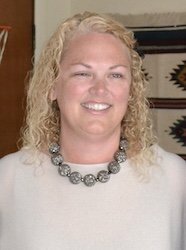 Karen Kucharski was elected to the Phantom Regiment Board of Directors in January 2018. She is a licensed customs broker who started her own consulting firm in 2001 specializing in U.S. Customs issues. Prior to that, she was a vice president for J.M. Rodgers Co. Inc., developing duty drawback programs. Karen was a member of the Colonels and Vaqueros Drum Corps in the late ’70s, when she first fell in love with Phantom Regiment. She has been an ardent fan since rediscovering drum corps in 2008. Her favorite Regiment shows are 1978, 2008 and 2012. She is a member of the development committee, which helps create programs to raise funds for the organization. Karen will also be working with Rockford Rhythm to help them meet their fundraising goals. Karen enjoys international travel, Hawaii and cheering for the Chicago Cubs. She lives in Crystal Lake, Ill., with husband Matt and daughters Tori and Daisy. The family has three dogs, a Newfoundland puppy named Kona, and two Portuguese Water Dogs named Maui and Lola. Kelly was elected to the Phantom Regiment Board of Directors in July 2017. She has been an active volunteer and board member of the Phantom Regiment Alumni Association since 2013. She is a senior manager for Beasley Media Group and has spent the past 25 years working in media sales and management, primarily radio, in her home state of Michigan. After aging out of Phantom Regiment in 1985, she began her media career in Rockford, Ill., working alongside fellow Phantom Regiment board member John Baumgartner at Cablevision Systems. She also serves as an auxiliary judge for the Scholastic Marching Band Association of Michigan and has judged every fall for more than 20 years. She marched in the Coachmen Drum and Bugle Corps from Grand Rapids, Mich., starting at age 11 before marching with Phantom Regiment in 1982-1985, including the 1983 winter guard. She was part of the Phantom Regiment color guard staff in 1986-1987. Kelly lives in Grand Haven, Mich., with her family. She has three adult children: Colin, Delaney and Kieffer. Emily (Fetcho) Barclay was elected to the Phantom Regiment Board of Directors in July 2015. She is a music teacher for KIPP Los Angeles Schools. Emily was a member of the Phantom Regiment mellophone section from 2005-09 and served as horn sergeant in 2009. She went on to teach with Academy Drum and Bugle Corps in 2010-11 and Blue Knights in 2012. She is a member of the development committee, which creates programs to raise funds for the organization. Emily, who is originally from the Chicago suburbs, has a bachelor’s degree in music from Butler University in Indianapolis. She lives in Torrance, Calif., with her husband, Rick, a drum corps alumnus, whom she met while teaching Academy in 2010. They have a dog, Rigby, and a cat, Shadow. 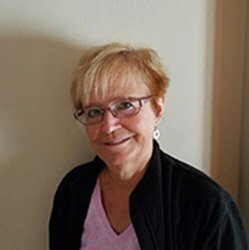 Kathy Vigna was elected to emeritus status on the Phantom Regiment Board of Directors in 2014. She had previously served as a member of the board from 1982-92. She was president of the board from 1985-89 and treasurer from 1989-92. She is retired from Hamilton Sundstrand, where she had been director of aftermarket contracts. She also was a senior manager of contracts and a program manager. Kathy also has been a president and board member of the Purple Knights Drum and Bugle Corps in Rockford. She was a volunteer and corps mom for Phantom Regiment Cadets. Both of her sons marched in Phantom Regiment Cadets and Phantom Regiment: John (who is married to a PR alum from ’88-’89) from 1980-89 and Brian from 1982-88. 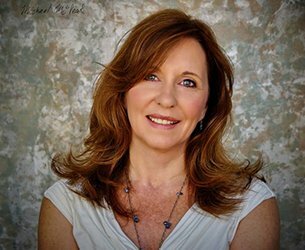 She is actively involved in numerous organizations: Alpine Kiwanis Club, currently serving as president of the board; Boone County Kiwanis Club, where she serves as a mentor; and Remedies Renewing Lives (a domestic violence shelter and addiction treatment center), where she is a member of the board and event chair. Kathy, who lives in Rockford with her husband, Bob, has a bachelor of arts degree from University of Windsor in Ontario, Canada. Her husband is a former assistant director of Phantom Regiment Cadets. Her sons both live in the Grand Rapids, Mich., area. She has five grandchildren, including two in college. She notes that her interest in Kiwanis Club began when, as PR board president, she would attend a Kiwanis meeting each year to be presented with a check in support of Phantom Regiment activities such as building the first kitchen trailer.